David Le/Gloucester Daily Times. 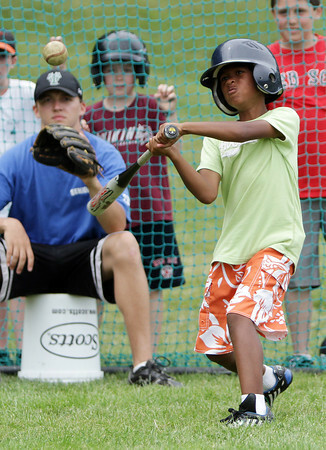 Jayce Rowen, 10 of Rockport, keeps his eyes on the baseball as he takes a cut during the Viking Baseball Camp held at Evans field in Rockport on Tuesday afternoon. 6/28/11.